It’s the end of the world-again…. I just finished reading another End of the World Scenario (which I refer to as EWS) that people send around the internet to keep all of us perpetually scared. It’s not as though I have not heard these suggestions as to how our existence will end, but this latest one caught me at just the right moment so that it really bothered me this time; not because it lacked supporting facts or was entirely made from fairy dust, but just because. So here is the idea: the world as we know it will end with a giant eruption on the sun. If it happens at just the right moment with the sufficient strength, it would pretty much wipe out all this world’s communications, power and all satellites in orbit. Ho-hum, yes the violent universe will eliminate our cell phones and government bureaucracy, I am not sure that is such a bad thing. Yes, these similar events have happened in the past and will inevitably happen, so unless we come up with a technology that is hardened to these high energy forces, all hell will break loose. Now, to the issue at hand, what can anyone do about it? 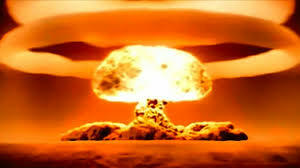 Moving to Alaska (which seems to be the answer to almost every EWS) won’t help because end-timers will get more radiation exposure due to the shape of the magnetosphere surrounding the earth. One could burrow into the ground and perhaps shield cell phone from the energy, but that won’t be of any help since the towers will no longer function, anyhow, and unless one has a solar phone charger, the phone will certainly die. The underground does tend to stay warmer. If this catastrophe happens in the winter; how long can a person live underground? Burning wood, gas, diesel or any other type of fuel will only last so long, so what does one do after that’s gone? Let’s consider a couple of other doomsday possibilities: aliens will maraud across the galaxy because they enjoy the taste of human brain; or this, secretly, the government tries to make us more docile with vaccines. Now, if you want to scare yourself witless, let me tell you a couple of truly possible ‘catastrophe narratives.’ With all the biological tinkering scientists are currently doing with all sorts of organisms, who is to say they may not make a pathogen that wipes out most, if not all of the human race. This is probably the most likely defensible scenario out there! On another line of thought, I once read that if a star should super-nova within 50 light-years of earth, this little grain of rock we call earth, would be vaporized. Put that in your pipe and smoke it! I am not writing this to depress you- quite the contrary. I have done this to set you free! There is absolutely nothing you can do about the potential destruction of earth! If God, the universe or nature decide that earth is done, then earth is done! Now this does not take into account the fact that the children of earth are dangerously manipulating many things we do not completely understand. There is the chance that we will cause our own demise! Either way, to repeat myself, there is little to nothing we common folk can do about it. So, here is my suggestion: Today is a beautiful day and tomorrow appears to be the same, so get your butts in gear and enjoy it, it may be your last! Did I mention that rogue meteor or that methane generating ocean? Lions and tiger and bears, oh my, an animal abuse story. While bouncing around Florida and avoiding the cold weather north of us, Sue and I heard of an animal reserve in the St. Augustine area. We found their website and purchased tickets to do the tour. There are only three visitations per week, and the cost is $30/person, and reservations are required. These animals end up in the reserve as abandoned or abused creatures. Some were previously kept in small cages by their owners; others were mistreated in a variety of ways. The volunteers who care for these animals all appear to be in love with every creature there. Although the animal enclosures are somewhat small due to limited space and funds available. It is obvious that they are now treated like kings and queens. The tour was entertaining as well as informative, but I could not avoid the sinking feeling of these magnificent animals being confined to cages. As there wise gaze met mine, I visualized these noble beasts living and hunting in the plains of Africa, tracking wild prey that soon would become their meal. The animals are here because of human interference and atrocious abuse! This is simply one more example of how man damages the natural world around us. Although here in the United States this kind of behavior is more closely monitored, it does occur all too often. In too many countries, abusing animals is a way of life and in many cases, a path to wealth! 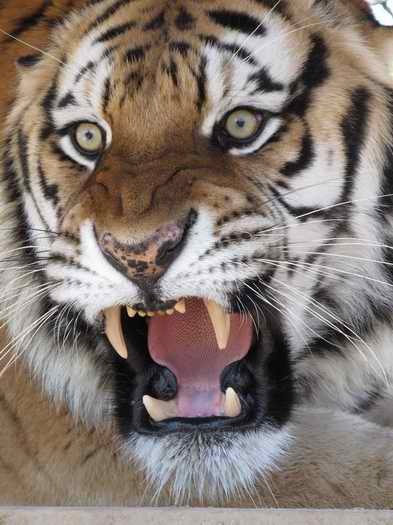 This all must change or many of the our most noble animals will soon become extinct! I would suggest that all you snow-birds and permanent residents Florida visit the reserve as often as possible and use the following link to help fund their cause. It is not a donation but a link to Amazon.com that will contribute 0.5% to the reserve of any purchase you make. This could be a significant amount of money if enough people use this site. It is very simple to use the link; just log on to Amazon.com, using the following link and the rest will be taken care of. You will see “Soul of the Wolf Wildlife Sanctuary” at the top of the page, which is the name of the St. Augustine Wild Reserve’s parent company. You may check out our “wish list”. Any items on the list may be purchased from Smile.Amazon.com and shipped directly to us! This is a special time of year. After a long cold winter, the trees are coming alive, the crocuses are breaking through the ground and the smell in the air is like nothing else on this planet. 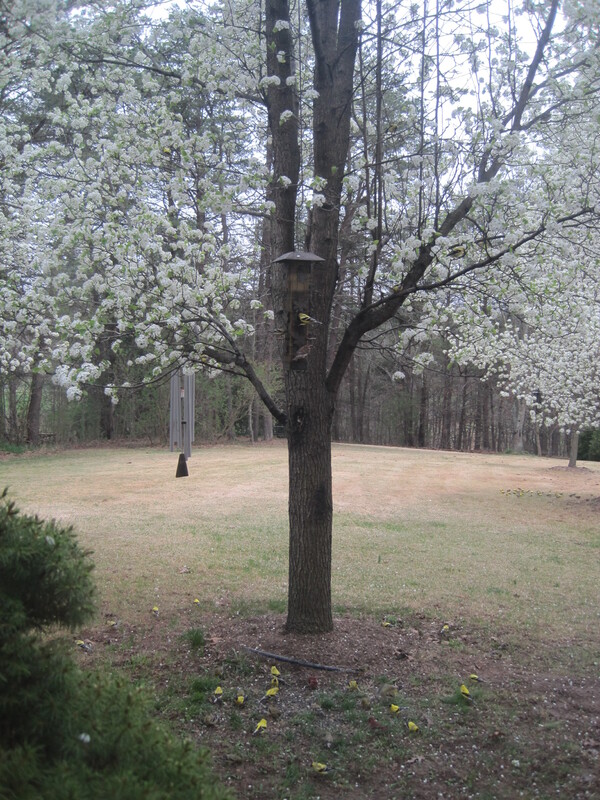 And here to welcome the new season is my favorite spring time friend, the Gold Finches. They are fluttering around the bird feeder outside our windows laik a carpet of gold on the emerging lawn. I just wanted to share this picture with you. One of my favorite Spock scenes was in the show Is there in truth no beauty. 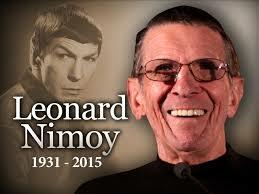 We will miss you Mr. Nimoy! May we all live long and prosper! I was a somewhat ordinary 8th grader with his head in the clouds and his feet occasionally touching the ground. Miss Stocken was a tall, good-looking blond English teacher who enjoyed playing basketball with the boys whenever the chance arose. Most of us had a crush on this young, vibrant teacher and would do anything she asked of us. One particular day in her class stands out for me in a special way. Miss Stocken had a tape-recorder set up on her desk which captured our attention as we entered the room. The whispers moved around the room as we settled into class. After taking role she explained that we were going to do a writing exercise accompanied by music. The hands quickly rose because we had lots of questions about the assignment. The questions ranged from, ‘What do we write?’ to ‘How long should the assignment be?’ and other frivolous eighth-grade questions. Miss Stocken smiled as she informed us that we could write about whatever we wished to and it could be as long or short as we wanted it to be. She said, “Just write about whatever the music brings to your mind.” So we all diligently set out to write purposely. I am unable to remember what I wrote about but I do recall how excited I was to write freely, with no worry as to spelling, penmanship or grammar. As class came to an end, she collected our work and told us she would read them and return them the next day. The next day came quickly, and as promised, she returned our papers. On top of my paper was a comment asking me to see her after class. I was not sure whether to be excited or fearful. Part of me was convinced that she was so amazed with my writing, she wanted to tell me personally how good it was. At the end of class I went up to her desk with my paper. As I approached her, she smiled that big beautiful smile and then asked me to read my paper aloud so I could hear what I had written. As I began reading, I quickly realized that my writing made no worldly sense to me or anyone else. I felt ashamed. She quickly assured me that this was normal, but that I should go home to try to make sense of my writing. I do not remember if I actually did follow-up, but it would have been difficult because what I wrote was an incomprehensible mess. Despite the fact that I had virtually no skills in writing, I thoroughly enjoyed the feeling that writing gave me. Never the less, I decided that writing was just not my gig. I managed to make my way through high school and college with extremely meager writing skills as I focused on the fields of math and science. To this day, I remember the satisfaction that I had experienced in Miss Stocken’s class so many years ago. Somehow in that brief encounter, she had planted the joy of writing in me. Not that I could write well enough but I greatly desired to write proficiently. So as the years passed, I gradually began to understand the process of learning to write. In the beginning it was slow and difficult because I had little guidance. I was improving but had so awfully far to go. Somewhere along the way came the advent of computers, allowing me to write something which I was actually able to read and review. When I retired from teaching, the local newspaper (asked me, YES ME!) to write a blog for them. Well, in the beginning it took many hours to come up with something that was mostly grammatically correct and had less spelling errors. My wife, Sue, was pretty good proof reader, but a friend of mine who had taught writing for many years at a prominent Catholic high school in Washington, DC, offered to proof my work. This was difficult at first as we plowed through, what must have been hell for him; i.e. my flawed writing. He is still helping me and occasionally praises my work which is an immediate high for me. As usual, if you have made it this far, you may be asking what the point of this article is. 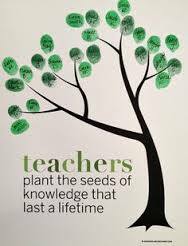 Put concisely, the point is: the power of a teacher to is plant seeds in young fertile minds! One never knows where that kind of special moment will lead them. I have listened to numerous stories from former students of mine who told me of comments I made or things I did that had a profound impact on their lives. Most of the time I do not even remember the specific moment, but to hear these stories is nothing but enjoyment for me. To know that I made a difference in the lives of many young people is the reward in itself for all those years of teaching.